While we all know that it's a good idea to eat a rainbow variety of fruits and vegetables every day, some colors are easier to find than others. 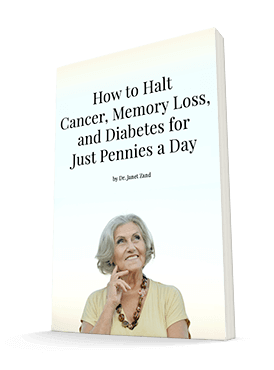 It's easy to get in a rut of eating the same green salad or yellow banana every day. But sometimes blue or purple foods don't make it into the rotation — or you get tired of eating blueberries day in and day out. Fortunately, there's another food you may not think about. It's a potato — and it's colorful. 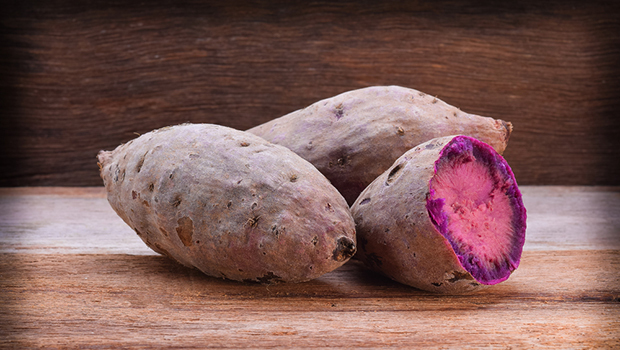 You may not believe it if you've never seen them, but potatoes actually come in purple! And they don't just have purple skins and white flesh like red or gold potatoes. They're actually purple all the way through! One reason to eat blue and purple foods is that they are typically rich in anthocyanins, a type of flavonoid. Not only do they give these fruits and vegetables their brilliant hue, they are also powerful antioxidants. A study recently published in the journal Food Chemistry confirmed the presence of these anthocyanins in purple sweet potatoes. The study found that the antioxidants in these spunky spuds could also improve cellular glutathione concentrations (another important antioxidant) and decrease lipid peroxidation. The study didn't investigate whether or not purple potatoes taste good, but I can tell you from experience that they're sweet and delicious! And while they sound exotic, more and more supermarkets are carrying them. So take a look in the produce section. They're delicious baked or steamed.